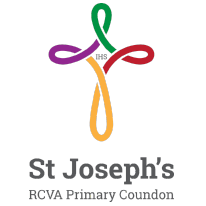 Here at St. Joseph’s we are taking part in our very own health and sports week. We have came into school in our sports wear every day- ready to get fit and exercise! Rob Proud delivered a whole day session of Hula Hooping for school. We all had so much fun and were excellent hula hoopers! We also tested out our new speaker with our dance zone at play time! We all took part in the smoothie bike challenge today and created our own smoothie concoctions! 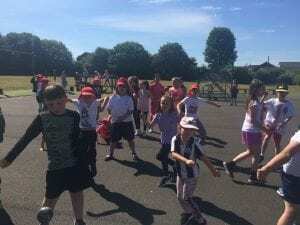 Our Year 5 children took part in a cricket competition too! They tried their best and worked super hard! We also had some intra school competitions taking place on the afternoon with Mr Turnbull! 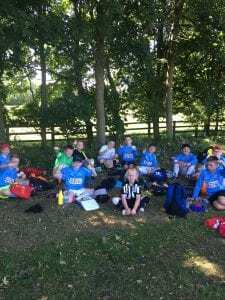 Also, a special mention and well done to our footballers for playing with such passion and determination at the Staindrop World Cup last week – Germany sadly didn’t make it to the final but we worked hard!